Set in 12 acres of Cotswold greenery, the Mercure Gloucester Bowden Hall Hotel boasts a gorgeous blend of tradition and contemporary styling. Delegates arrive to the beautiful surrounding countryside and once inside the hotel, will be impressed with the breath-taking decor and chandeliers. It’s an event backdrop that’s going to add a unique feel to a meeting or conference. Home to six meeting rooms that are fully-equipped with complimentary high-speed WiFi and audiovisual equipment. And there’s space for up to 180 delegates in this Gloucestershire venue. The Lakeside Suite is the largest room and is located on the first floor with its own private entrance. 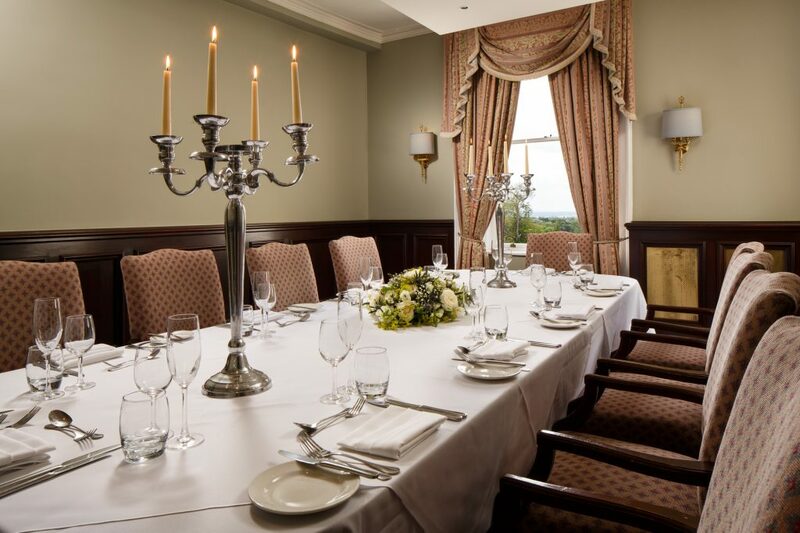 It’s ideal for networking, private events and buffet lunches. There’s even the option to add in a dance floor space if you are looking to host a party or celebration. 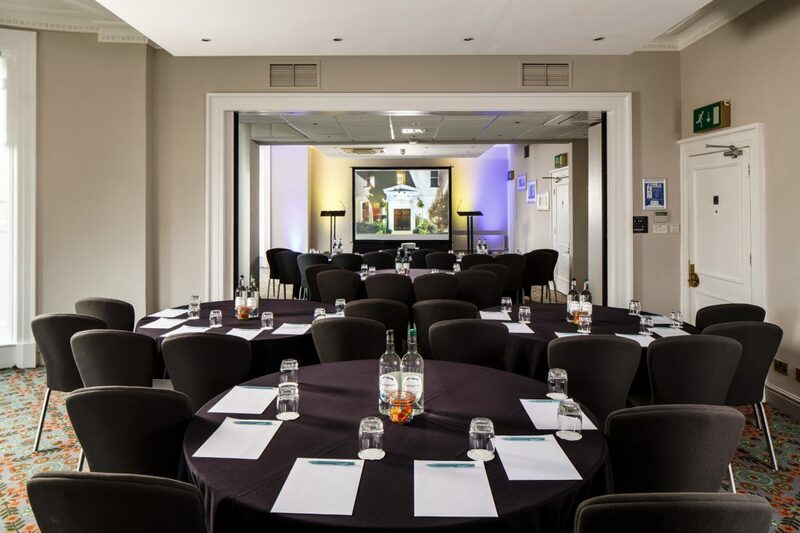 The Ambassador Suite benefits from natural daylight and is the second largest space with a capacity for up to 100 delegates. 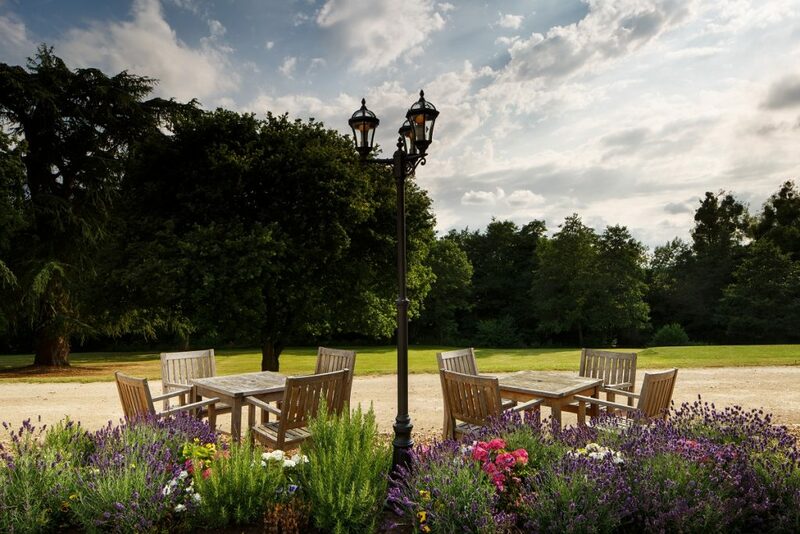 The large floor to ceiling bay windows offer great views over 12 acres of woodland which surround the hotel. 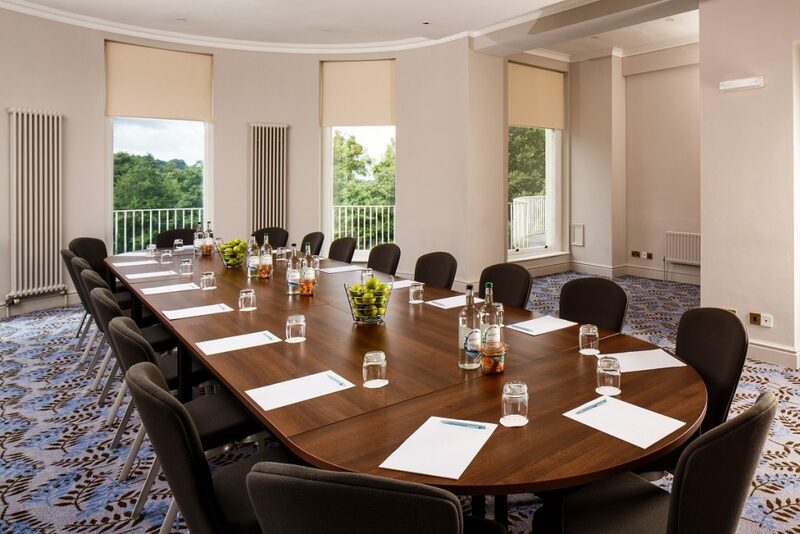 The Congress Suite and The Presidential Room both have space for up to 40 delegates, The Senate Room can host up to 30, while The Boardroom is great for smaller meetings and conferences for a maximum of 12 delegates. Three miles from Gloucester railway station, this venue is great for delegates travelling via rail. Plus, there’s 150 car-parking spaces for guests arriving by car. There are plenty of nearby attractions worth visiting to help delegates relax and enjoy some downtime between meetings. 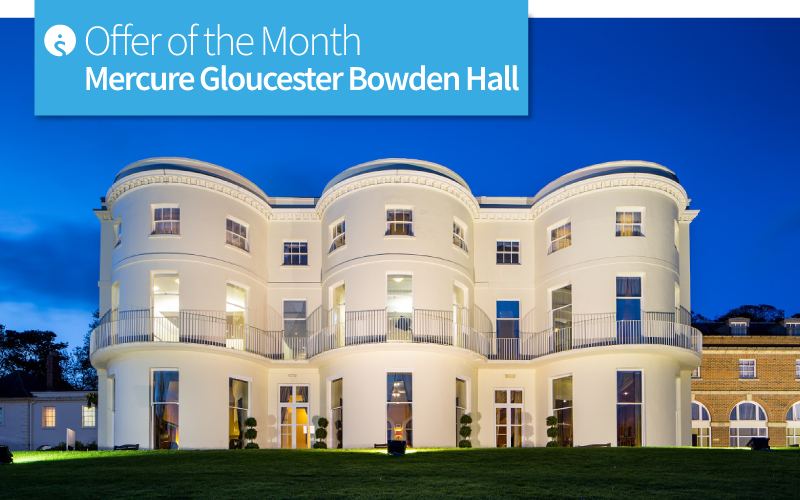 Cheltenham Racecourse, Cotswold Water Park and Gloucester Cathedral are just a few highlights! 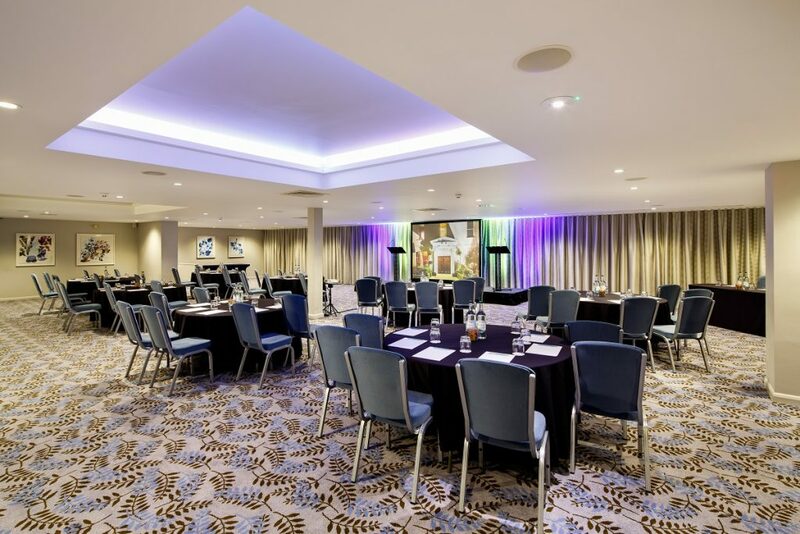 Running until Sunday 31 March 2019, Mercure Gloucester Bowden Hall Hotel has introduced a one in ten delegates go free offer. Whether it’s a training day, team-building session or sales meeting, event organisers will make serious savings with this deal. To find out if this venue suits your next event requirements and to receive the one free in ten offer contact us on 01775 843411 from 8.30am until 5.30pm, Monday to Friday. Previous Post:Find me a fashionable London Hotel for London Fashion Week!